While the American Dental Association recommends visiting your dentist every six months to maintain your oral health, it’s something that people procrastinate on regularly. Whether it’s due to a fear of the dentist or some other issue, it can be easy to let your oral health slide to the wayside. Today, we’re going to take a look at five signs that you need to see your dentist. For families here in Fairless Hills, visit Dental Savers for high-quality, affordable dental care. While a little bit of blood when you brush or floss is normal, if it is a consistent thing you notice, it may be the sign of something more serious. 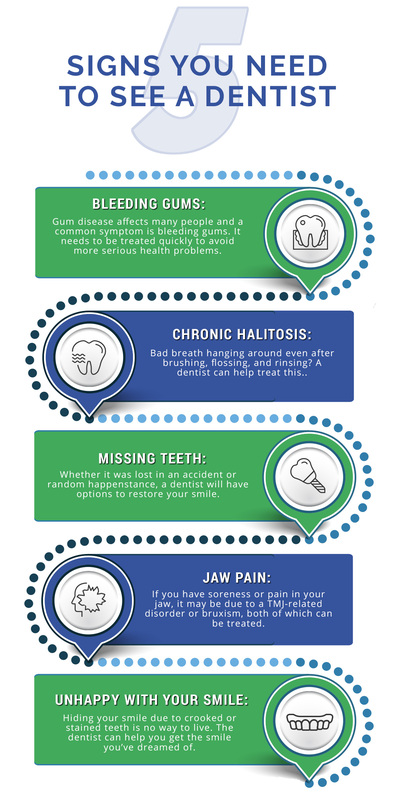 Gum diseases like periodontitis and gingivitis can be dangerous on their own, but if they are not treated promptly, they can develop into health issues that stretch beyond just your teeth and gums. Gum disease can increase your risk of heart disease and stroke, so it’s not something to ignore. Other oral health problems that stem from gum disease include gum recession and tooth loss. While having bad breath can be a sign of poor oral hygiene, it may be the result of other causes. This is especially the case when it comes to people who regularly brush and floss, but still have halitosis no matter what they do. It might also be a sign of dry mouth, where your mouth is unable to produce the necessary amount of saliva to wash away odor-causing bacteria. Bad breath can also be caused by gum disease. 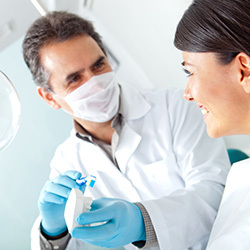 A visit to the dentist can hone in on what is causing your bad breath and provide you with treatment options. There are many things that could cause you to lose a tooth, so don’t think this is just relegated to little kids losing their baby teeth. Whether it is a result of some sort of trauma or accident or it fell out due to damage or disease, there are many options available to you for replacing missing teeth. 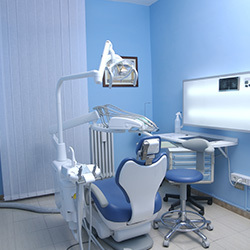 A dentist will be able to walk you through all of your options to restore your smile. 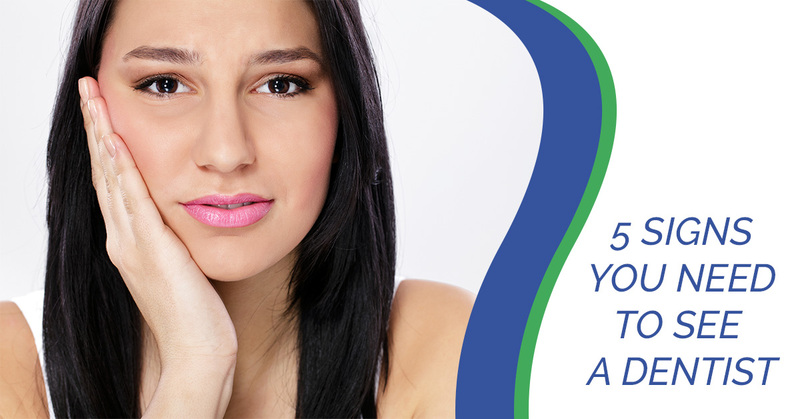 If you have a sore, tender, or aching pain in your jaw, it might be a sign of a TMJ (temporomandibular joint) related disorder or bruxism (teeth grinding). This pain can extend to your neck and even your back if not treated properly. The joints of your jaw may become strained, overextended, and fatigued for many reasons, all of which can be treated by your dentist. It may require a custom-fitted mouth guard or another form of oral appliance to treat, but it will depend on your specific situation which form of treatment is best for you. There are many reasons that might cause you to be unhappy with your smile. Whether it’s crooked teeth, a gap, stains, or cracks, all of these can make someone feel self-conscious about their smile. If you feel like you have to hide your smile when out in public or in photos, your dentist can help you. With braces, teeth whitening services, crowns, and many more cosmetic dentistry options available, the smile of your dreams is within reach. Discuss with your dentist what you’re unhappy about with your smile to get information about how you can get a smile you’re proud of and excited to flaunt. 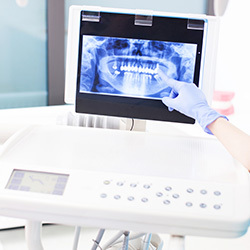 The dentist can be scary to some people, while others might see it as a hassle, but it’s incredibly important that you don’t ignore your oral health. Instead of simply searching online for a “dentist near me”, choose the affordable dentist you can trust to get the job done. Call Dental Savers in Fairless Hills today to schedule your appointment.